Soprano Angela Yoon performs in the Dendrinos Chapel and Recital Hall tonight with collaborator Dr. Jason Terry. Visiting vocal faculty member soprano Angela Yoon is giving a concert in the Dendrinos Chapel and Recital Hall tonight at 7:30pm. Joining her will be Dr. Jason Terry, a member of the piano faculty at Bradley University. 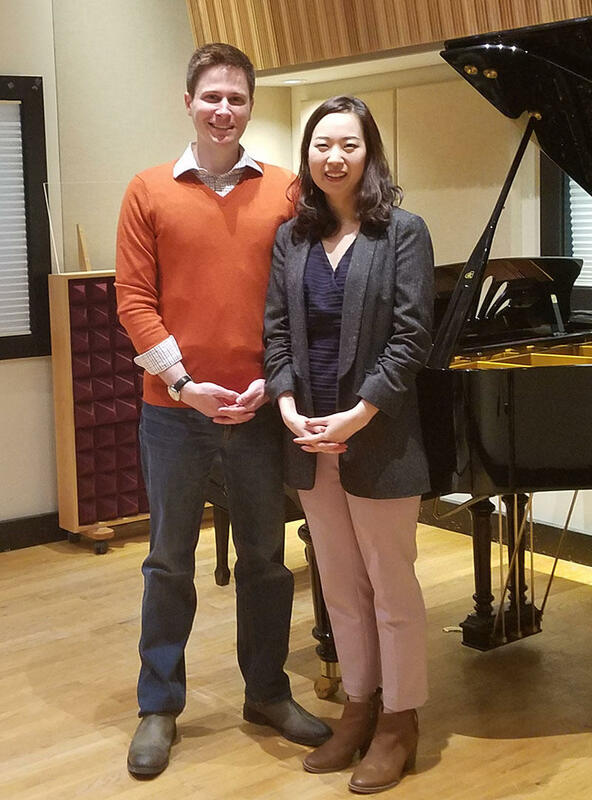 Visiting faculty member soprano Angela Yoon performs in Studio A with her collaborator, Dr. Jason Terry. Yoon wasn't planning on giving a recital, but her students insisted, asking her to please sing "Everything!" Tonight's recital will feature music from all around the world, from Scandinavia to Korea. Yoon and Terry visited Studio A this morning to sing a couple of pieces from the recital, and talk with IPR's Kate Botello about the music and languages included. First, we'll hear "All the Things You Are" by Jerome Kern. Then, "Skogen Sover" ("Forest Sleeps") by Hugo Alfven. Interlochen Arts Academy senior Muying Chen, a piano student of Michael Coonrod, visited Interlochen Public Radio's Studio A this week. Muying shared music from Gargoyles by Lowell Liebermann and Romeo and Juliet by Sergei Prokofiev. After graduation Muying plans to pursue a double major in college studying Piano and Economics. In Studio A with Muying Chen was engineered by Brock Morman.